Mountain real estate and equestrian properties. Pinnacle Sotheby’s International Realty specializes in unique and luxury Western North Carolina real estate. As a member of the Sotheby’s International Realty network, Pinnacle Sotheby’s International Realty takes great pride in using our considerable experience, resources, and global connections to artfully unite extraordinary properties with extraordinary lives. Because of our global reach, we are able to serve as national and international buyer and seller agents for the Western North Carolina luxury real estate market covering residential homes, lake homes, river homes, mountain homes, horse farms, and land. 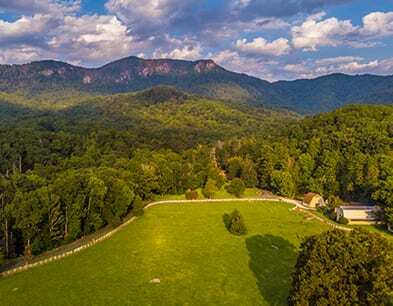 Our service area spans Western North Carolina mountain real estate and equestrian properties in Lake Lure, Chimney Rock, Hendersonville, Asheville, and Lake James, Tryon, Columbus, Mill Spring, Lake Adger, and Landrum, South Carolina. Our professional and knowledgeable Broker Associates can guide you through the intricacies of a 1031 exchange. If you are looking to buy or sell an exceptional North Carolina mountain lake home or equestrian property, please contact us. The home was clean and extremely well furnished. The outside dock area and landscaping was just beautiful. It was easy to check in. The pontoon boat was great. Was a pleasure to deal with Property Management prior to and during our actual stay. We would definitely return to this wonderful place. Our family loved the spaciousness and comfort of this beautiful home. It is a reasonable distance to the lake from the home so my elderly parents could make the trek. Local activities plentiful; beautiful decor; comfortable beds; spacious; well-maintained boat; good customer service. 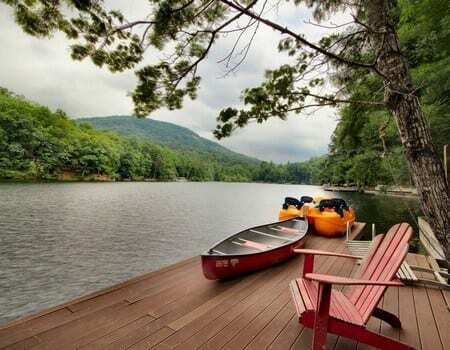 Its endless outdoor space and use of the lake for fishing, swimming, kayaking and lake side fires for s’mores; all kids and adults had a wonderful family reunion.